Brandon Garrett, Convicting the Innocent: Where Criminal Prosecutions Go Wrong (Harvard University Press, 2011). Deborah Denno, Lethal Injection Secrecy Post-Baze 102 Geo. L. Rev. 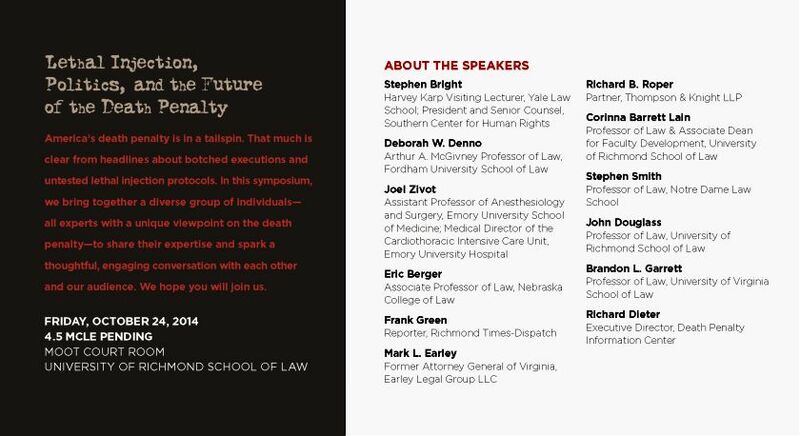 __ (forthcoming 2014), available at http://www.deathpenaltyinfo.org/documents/LethalInjectionSecrecy.pdf. 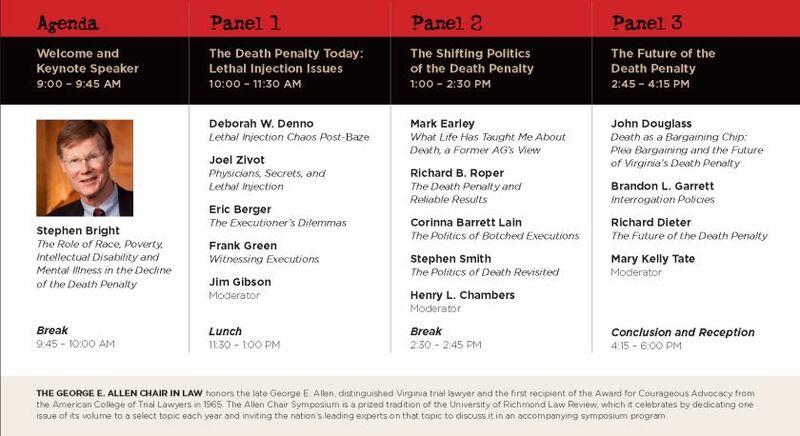 Eric Berger, Lethal Injection Secrecy and Eighth Amendment Due Process, 55 B.C. L. Rev. __ (forthcoming 2014), available at http://papers.ssrn.com/sol3/papers.cfm?abstract_id=2450204. The Supreme Court and the Politics of Death, 94 Va. L. Rev. 283 (2008). Richard Roper, The Death Penalty at the Intersection of Reality and Justice, 41 Tex. Tech L. Rev. 15 (2008). Corinna Barrett Lain, Deciding Death, 57 Duke L.J. 1, 45 (2007). Corinna Lain, The Virtues of Thinking Small, 67 U. Miami L. Rev. 397 (2013). John Douglass, Confronting Death: Sixth Amendment Rights at Capital Sentencing, 105 Colum. L. Rev. (Nov. 2005). Mary Tate, Commissioning Innocence and Restoring Confidence: the North Carolina Innocence Inquiry Commission and the Missing Deliberative Citizen, 64 Me. L. Rev. 531 (2012).